Teeth whitening is big business. 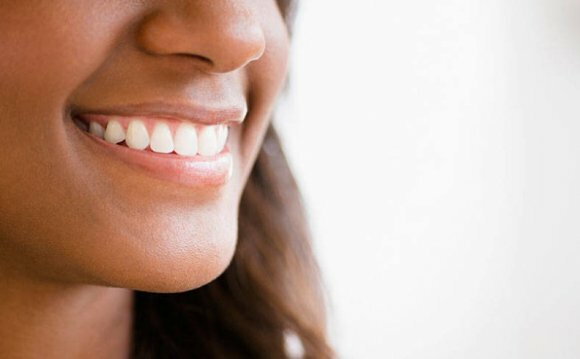 Thanks to the pearly white celebrity smiles that constantly fill our screens this photogenic beauty trend is going nowhere and people are trying various tactics for a quick fix. There are over-the-counter kits, whitening strips, stain-shifting toothpastes and 'oil pulling' for the chemical-free fans. But which ones actually work? And which could be compromising your oral health? Dr Peta Leigh from Elleven (an award-winning dental and orthodontic practice) gave us her verdict on the popular DIY whitening methods. "Teeth whitening strips are reasonably priced and easy to order, and if you have used them before you will notice a brighter and whiter smile. However these strips, when used excessively, can cause damage and painful sensitivity to your teeth. You may also find that white spots occur on your gums, which is not ideal and also the strips themselves do not actually get into the crevices between teeth so you may see uneven colour. If you are going to use whitening strips then it is best to stick to the recommended usage of no more than one course a year." "Although DIY kits bought over-the-counter claim to be safe, research has shown that they can lead to stomach problems, mouth infections, toothache, gum-shrinking and nerve damage. It is best not to use these kits as you can also result in having spotted or patchy teeth due to an uneven spread of bleach. Professional home whitening systems provided by your dentist are highly effective, products available on the high street do not contain enough active ingredient of hydrogen peroxide or carbamide peroxide to have any real effect on the tooth colour. Teeth whitening should always be carried out by a dentist, either as an in-chair or professional at-home treatment." "Bicarbonate of soda is a natural teeth whitener, so using toothpaste that contains this ingredient will help to whiten your teeth in the short-term. However these toothpastes can be abrasive and if used repeatedly over time they can weaken the enamel, which will make your teeth more sensitive and vulnerable to dental cavities. Cavities are irreversible and only get worse with time so if you are going to use a flouride-free toothpaste, limit it to once a week and if you experience any burning or tingling sensations then stop immediately and rinse your mouth out with water." "Paint-on teeth whitening pens are very commonly used to treat individual teeth that you might feel need to be whiter. This process may work but due to the small percentage of hydrogen peroxide in the solution, the effect will be minimal. You may experience some mild gum irritation and tooth sensitivity, however as these pens should not exceed the 6% of hydrogen peroxide legally available in the EU and are usually much lower. As a result this also means that you probably will not see much improvement in the colour either so my advice is to steer clear except for the occasional quick fix." "Oil pulling to whiten teeth and improve overall oral health has become increasingly popular with many celebrities endorsing the craze; however, there is little evidence to date that this method works. Oil pulling involves swishing a tablespoon of oil around the mouth for 15-20 minutes; this then supposedly draws out toxins in your body and your mouth, improving your oral health and in turn, whitening teeth as stains are drawn out and removed. If you are going to try this technique make sure you do not substitute your regular visits to the dentist as it will not reverse tooth decay or help extensively to whiten teeth. Some stains may be removed, but regularly visits to the dentist are still essential."